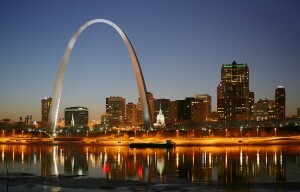 St. Louis, MO is one of this nation’s capitals of industry. As a southern point of the major Midwest, St. Louis manufacturers outfit the automotive, agricultural, and food processing industries and more. Who is outfitting these manufacturers? TDI, Test Development Innovators, LLC, is the go-to company for all things manufacturing and production. We provide testing services, control and data acquisition solutions, process upgrades, machining, and more. We are production testing experts with over 25 years of quality industry experience. Our testing services include consulting over testing protocol, designing testing materials and fabricating equipment, performing pneumatic leak tests, and other product evaluations, research and development, and more. Hydraulics Testing. We are adept at and equipped to perform high pressure and ultra-high pressure testing for your hydraulics system. We take safety ratings and standards of compliance very seriously and respect that you do as well. As such, it is our mission to provide testing that will remove doubt. Further, testing at 100,000 PSI is a surefire way to inform the transformation of a lax prototype into a more robust product. Quality Control and EOL. For products not requiring high pressure testing, we also offer general quality control testing for any product or piece of equipment. Our end of line tests are comprehensive and tailored toward your requirements and regulations. St. Louis, MO is as much a historical city as it is an up and comer. We recognize the industriousness of St. Louis business, so we know your company values a thorough upgrade. At TDI, it is our mission to provide consultation and upgrades that are on mark with, or a cut above, your industry norms. We understand the perceived savings in the adage “if it is not broken, do not fix it”; however, we also see the flaw. Postponing an upgrade until the machine or process is obsolete will render greater cost overall than a consistent plan of upgrades. St. Louis, MO manufacturers and processing plants thrive from an alliance with industry veteran, TDI. Contact TDI today at 309-263-6000.